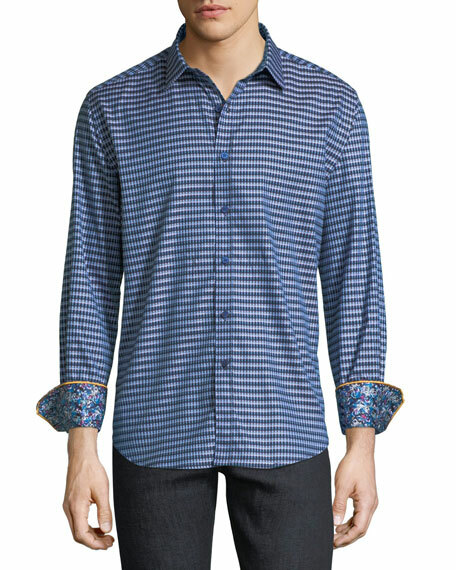 Robert Graham "Hill Punch" sport shirt in multicolor gingham. 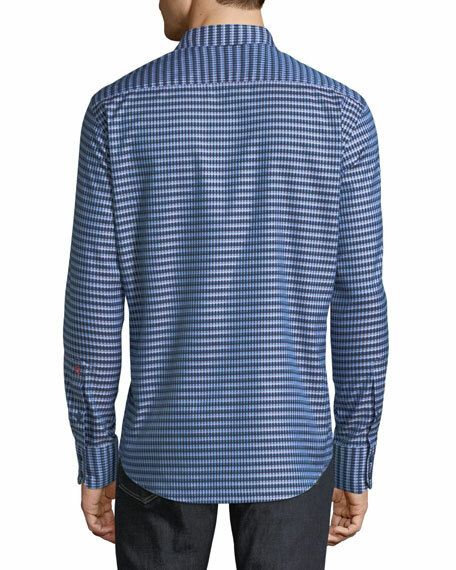 Signature Knowledge Wisdom Truth embroidery at shirttail hem. For in-store inquiries, use sku #2409008.